“In Syria, Iraq, in the Holy Land, from the East to the West, it seems that the power of violence has become the only possible voice that can fight against the overwhelming violence. 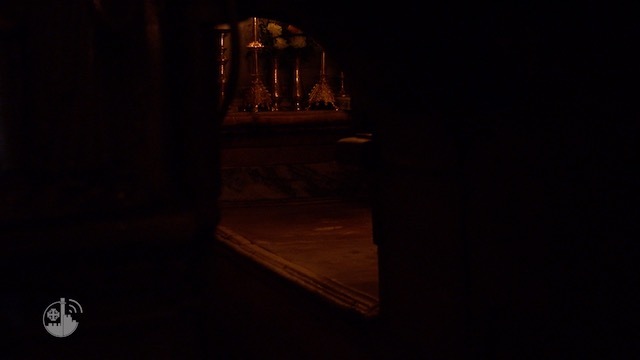 To wait for Christmas in these circumstances is a way to interrogate our faith and to make us need the birth of a greater hope. […] The Gospel tells us that the fullness of time came in a difficult moment, when John was in the desert inviting people to prepare the Way of the Lord…” Listen to the whole Christmas message of the Custos. In order to thank you all for your support, both spiritual and material, we want to share this video with all of you. 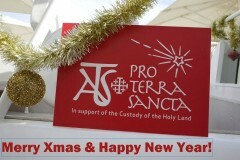 Special thanks from Association pro Terra Sancta and from all the Friars of the Franciscan community in Jerusalem! Merry Christmas and a Happy Year of Mercy!